Southern has asked its cross-town rival for a band battle to benefit both programs. It’s technically the offseason in college football, but band season is always on-going, especially on social media. Before you know it, various battle of the bands will be pumping from the East Coast to down south. 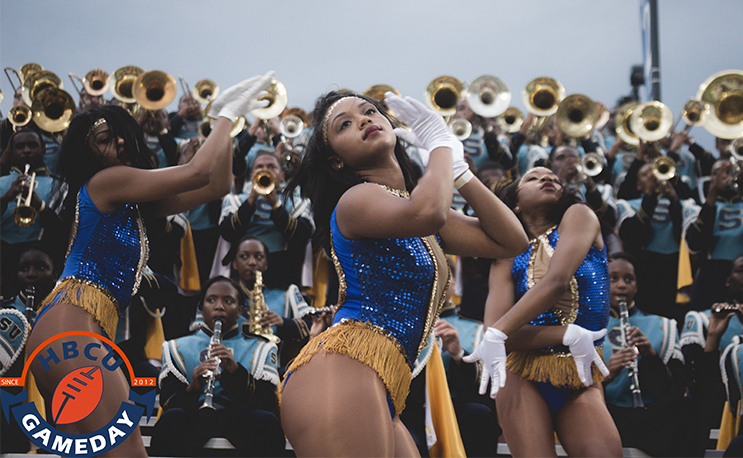 Baton Rouge is home to two marching bands that are giants in their respective worlds and in college football period: The Human Jukebox of Southern University and The Gold Band from Tigerland of LSU. The two bands have both won national acclaim and they share the same town, so it only makes sense to get the two together, right? The Human Jukebox thinks so. The much-respected band extended an invitation to its crosstown counterparts via Twitter on Wednesday. According to the twitter account, the two bands have never battled it out head-to-head. Obviously, there are reasons for that. SU is an HBCU and LSU is a PWI, so there is a lot of history behind why that hasn’t happened up to this point. But with LSU, along with many other PWIs, now mimicking or at least being inspired by HBCU bands, it seems like it has to happen sooner or later. Especially when folks are out here making statements like that. Tradition says don’t hold your breath on it happening, but stranger things have happened. The proposal itself brings up a question we’d like to know the answers to ourselves: What other HBCU bands would you like to see go head-to-head with their PWI counterparts in the same metro area? Well being from Baton Rouge I can tell you that there are some deeply seeded “issues” as to why that official battle hasn’t happened yet. I say “official” because back in 2003 when both football team won their respective National Championships, the city there a huge parade with both bands marching and it ended at the state capitol building where both bands played side by side against each other for a song or two. But like I said it wasnt and official. So this should be interesting if it happens. Also I would love to see FAMU and FSU battle for Tallahassee! SU did not win a national championship in 2003, just their conference (SWAC). I’d actually like to see Southern go up against Ohio State. All the media drools over Ohio State but they are not better than Southern. Have you seen Ohio state field shows? That’s what you call creative, I love southern but Ohio State has earned their credit when it comes to halftime shows. Well I’m a Gramblinite n I would love to see Gramblinite n Louisiana Tech but I don’t think it will ever happensame situation as Southern n LSU!! FAMU and FSU bands have had a battled before.